It may have taken too long, but Washington Post “fact-checker” Glenn Kessler has finally acknowledged that Mitt Romney engaged in a distortion by using selective editing to make it appear that President Barack Obama was insulting people who build businesses when he actually was talking about building roads and bridges. In his commentary, Kessler inserted some snide asides about Obama recycling what Kessler apparently regards as stale Democratic ideas about building public infrastructure so private industry can thrive. 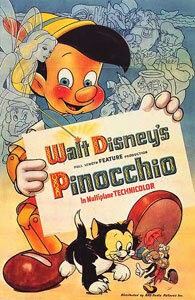 The original theatrical poster for the release of Walt Disney's "Pinocchio" in 1940. But Kessler did concede on Monday that “The biggest problem with Romney’s ad is that it leaves out just enough chunks of Obama’s words, such as a reference to ‘roads and bridges’, so that it sounds like Obama is attacking individual initiative. The ad deceivingly cuts away from Obama speaking in order to make it seem as if the sentences follow one another, when in fact eight sentences are snipped away. That was precisely the point I made in a story five days earlier, entitled “Mitt Romney’s New Lie.” That article said, “The ‘independent fact-checkers’ might want to dust off their Pinocchios and pull out their ‘truth-o-meters’ in reaction to Mitt Romney’s latest calculated lie, applying deceptive editing to President Barack Obama’s remarks about how public infrastructure supports private enterprise. Obama’s syntax may have been slightly mangled, but the context was obvious (and is even more so if you watch the full talk). Obama was saying businesses did not build the roads, bridges and such that have helped the private sector flourish. But the right-wing media quickly lopped off the context. Fox News applied its classic selective editing. “I find it extraordinary that a philosophy of that nature would be spoken by a president of the United States,” Romney said. But Obama wasn’t saying that someone else built the business; he was saying someone else built “that,” i.e. the public infrastructure that businesses use. Given this clear context, Romney and other right-wing figures knew exactly what they were doing. They were lying and the lie was soon featured in attack ads flooding the TV. One might have thought that this was precisely the reason for “independent fact-checkers” to intervene quickly to prevent the American electorate from being misled. But the major “fact-checking” groups mostly stayed on the sidelines, much as their predecessors did in Campaign 2000 when Al Gore was facing similar distortions. For 10 days, right-wing talkers, Mitt Romney and the attack ads had pretty much free rein to circulate this calculated lie and deceive millions of Americans. Ironically, while mostly sitting on their hands in the face of this patent falsehood, Kessler and the “independent fact-checkers” at Annenberg Center’s Factcheck.org were busy pointing fingers at Obama and his campaign for blaming Romney for plant closings and off-shoring of jobs by his Bain Capital — and questioning his claim to have cut ties with the firm in February 1999. Though the Obama campaign cited Bain Capital’s multiple Securities and Exchange Commission filings that showed Romney still in charge for the next three years the New York Times tallied 142 such filings Factcheck.org called the President and his team “all wet” in their suspicions about the contradictory Romney/Bain statements. Yet, when Republicans and then Romney began ripping Obama’s roads-and-bridges quote out of context, all you could hear around the vaunted “fact-checkers” were the proverbial crickets chirping. Or to use a different metaphor, the lie had time to saunter around the world before the “fact-checkers” finally put their boots on. So, in that context, perhaps we should be grateful that Kessler finally addressed this Romney distortion and gave the Republican presidential candidate “three Pinocchios” although one might have thought such a willful lie should deserve the full four. more commentary bs by Borat! Thanks Robert Parry for yet another informative article. The fact of the matter is, even if Romney and gang hadn’t deceptatively cut out some of the President’s remarks…business owners starting their own business DO get help from others. Do they really think they do that on their own? Sometimes other people help them ie family members, but the most important help they get is usually from the Holy Spirit. Why is it people in our country have trouble giving credit where credit is due? Any good thing that has happened to me in my life has not been done all on my own. I get a lot of help from Heaven and also from people on earth. Even if Romney and gang hadn’t attacked the President with their usual political deception…what Obama said is the TRUTH! Our country has become so arrogant that people actually think they create a business on their own! 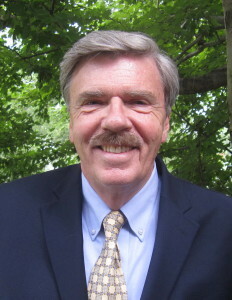 For instance Mr.Robert Parry…you had and still have the intelligence and courage to start and maintain your own business. Obviously you are not the type of person to discount the help you have received creating your business. Your sons have helped you and you have also gotten much help from those in Heaven. So I guess what I am saying…even if Romney and gang had not done political deception in reference to this story…what Obama said really was the TRUTH! Furthermore, Romney needs to ponder and confess his alleged involvement in pryamid scheming. Maybe that law has changed but I thought it was against the law to do prymid schemes. As for his hiding his tax returns, both sides need to be incensed about this. Any politician that does this is being unethical. You know what Bob? The politicians have put We the People to the back of the bus and quite frankly this is no longer acceptable. The fact that Kessler belatedly acknowledges that the Reicht deserves three Pinocchios should not detract from the original criticism. Rather than honest balance, it represents damage control and a scramble to shore up the BrainwaRshington Pest’s tattered reputation as a liberal-centrist newspaper, which it never really was, and has certainly not been since Katherine Graham’s notorious address to the CIA a quarter century ago. Even worse, it smacks of the standard method used to reinforce propaganda systems: Allow a lie or a trial balloon to circulate and percolate for a significant period of time with no interference, then, on one day only, question or refute it, quietly, so that on the record, you have done your duty of presenting balance, but you have also ensured that the vast majority of careless and sometime spectators will go to their grave believing the original lie. Nor is this the first time that the Pest has used this classic technique. During the run-up to the 1998-9 bombing of Iraq, Saddam Hussein, who had been cooperating with the UN inspection team, found out that the latter was heavily infiltrated by U.S. intelligence agents, who were looking not for WMDs but for the coordinates of possible targets for the planned bombing. He ceased cooperating, and Clinton withdrew the team, possibly to avoid accidentally killing some of them when he began the bombing. 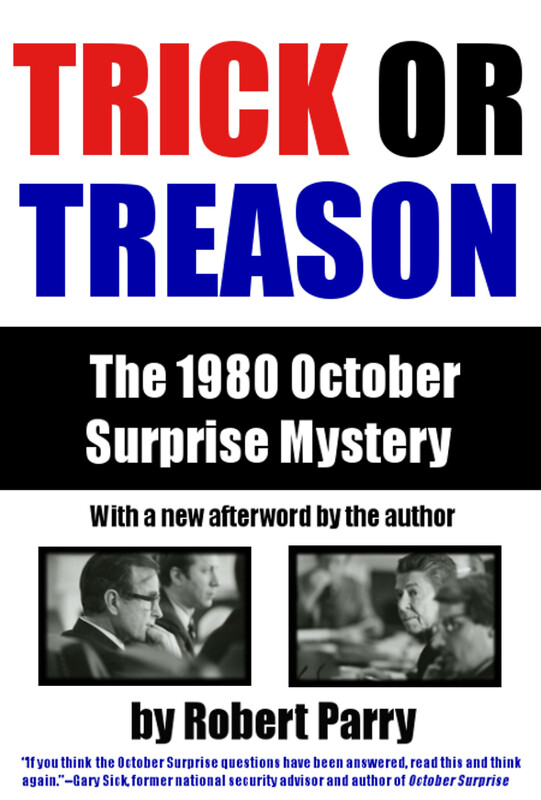 The mass media presented nothing of the context; instead it proclaimed that Saddam had had paranoid delusions, that he was afraid his [nonexistent] WMDs would be discovered — this when MI6, the CIA and the UN debriefing team had all agreed since 1995, following the defection of Hussein’s son-in-law, that no significant weapons caches had existed since 1991 — and that he had “kicked out” the inspectors. In early January 1999, the WP ran an article for one day, no accompanying editorial or _nostra culpae_, that admitted that Hussein’s suspicions were in fact well-grounded, and that Clinton had withdrawn the suspected spies for their safety. No follow-up; indeed, within a few years, the Pest was ignoring its own archive and circulating the unsupported and indeed insupportable lie that Saddam had kicked out the inspection teamwhen they got too close to his probable caches. During the oughts, after Bush had attacked Afghanistan, from which none of the supposed 911 terrorists hailed, the Pest again, for one day only, highlighted the presumably relevant story that even well into the invasion and occupation, with the U.S. supposedly fighting Islamic extremism, the State Department was still shipping Jihadist textbooks to Afghanistan for use in the religious schools. That certainly puts a different slant on the U.S.’s imperial thrust into the Middle East (acknowledging that the U.S. had become an empire was at that time still somewhat disreputable, rather than being celebrated as it is now), but again, there was no follow up, no suggestion that there was a disconnect, let alone that the shipments called into question the sincerity of the official reason for the military expedition. With this history — and there are other, less notorious examples — it is very much an open question whether the “CIA’s favorite newspaper” is once again involved in a propaganda exercise, this one aimed at a domestic audience and with partisan/Reicht wing aims. Like it or not, there are plenty of assholes in the world. A few of them happen to be Israeli. Merely pointing them out doesn’t make anyone antisemitic. In fact, I have a suspicion that your comments are intended to enhance rather than mollify those sentiments. After all, “Arabist Ravings” is also an antisemitic slur. I think it was Shulamit Aloni, former Israeli minister who said accusations of antisemitism are, “An old trick; we always use it”. That was on a ‘Democracy Now!’ interview with Amy Goodman. I’m sure you can find it on YouTube if you’re interested. “Likudists” in Israel think it will be in the interest of Israel if Romney wins. 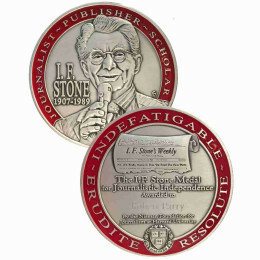 Their adherents in America either control or hold very high positions in the media…including in “fact-check”.org. Just as they thought it would be in Israel’s interest if George bush won over Al Gore and did all they could to ensure that result. We all know what that cost us. They are doing the same thing again;using “their” media to mislead Americans into voting against their own interests so long as Israel’s interests are served. They have foisted upon us “clueless oaf” upon “clueless buffoon” like Reagan and George W Bush whose policies have driven America to the edge of the cliff. Now for their own interests, they are going to push us clear off the cliff with the election of Mitt Romney. You are absolutely 100% right. But unless and until Israeli fingerprints can be found on an outright undeniable â€œsmoking gunâ€, this is the way the game is going to go. The right wing lunatic fringe of the media hypes up the â€œMoozlumâ€ threat, and the faux liberals use left-wing cover to hype a foreign policy which protects Israeli interests. So, on the one hand, you’ve got Jim Sumpter, Michael Savage and Rush Limbaugh, and on the other you’ve got Stephanie Miller and Randi Rhodes. I’ll never forget listening to Randi Rhodes push Smedley Butler’s indictment of the military-industrial complex. But now that there’s liberal cover in the form of a Democratic administration, she doesn’t utter a single â€œanti-warâ€ comment. That would hurt Israeli interests. The entire media operates like that, and perhaps the worst is CNN’s Wolf Blitzer, an ex AIPAC shill. It’s too bad the 9/11 truth movement is so fragmented and disorganized. In fact, they’ve deteriorated to back-stabbing and sniping, which may be a result of manipulation by media and other interests. I had always hoped that the â€œFive Dancing Israelisâ€, the only suspects arrested on 9/11, would eventually draw America’s attention to the fact that Israel seems to take great delight in our misfortune, especially when it serves their interests. Americans are so gullible that Bibi Netanyahoo himself would have to hijack a plane and personally throw passengers out the door from 10,000 feet, then set the Auto-Pilot to make it crash into the Statue of Liberty while he parachutes to safety on Long Island to a press reception with Wolf Blitzer, Chris Wallace, Barbara Walters, Charles Krauthammer and Larry King. The hard part would be fighting over who gets to present him the Presidential Medal of Freedom. Then maybe, just maybe, the American people would start to wake up. But don’t be too sure. If Romney wins, its proof they never will. You have a very dry sense of humor. Really enjoyable comment. Thanks! Yes, and to hear all the right-wingers, Obama never gets any bad press but they always do. Riiiiight. Except that this is the way it always is. Obama has gotten nothing but bad press from the day he got the Democratic nomination to run for President and it has continued non-stop ever since. His opponent OTOH has been an “exclusive” fixture on the Sunday morning bobblehead shows, usually unopposed by anyone from the Democratic side. Or at least anyone who can stand up to the straw-man talking points and unadulterated lies spewed by the right about every single policy, every single statement, every single trip, every single thing that POTUS and even FLOTUS does. And just when you think it cannot get any worse – the fact that Obama chose to sing a song by Rev Al Green proves that he’s part of “some other America” than Mittens who sang (very badly) America The Beautiful. Yep, you got that right – some “Other” America. Exactly! Simply another bold faced lie by Romney. What else is new?